Beautiful surroundings – the place, especially at night, looks straight out of a sci-fi movie. So even if you struggle with climbing, you can still appreciate the view. 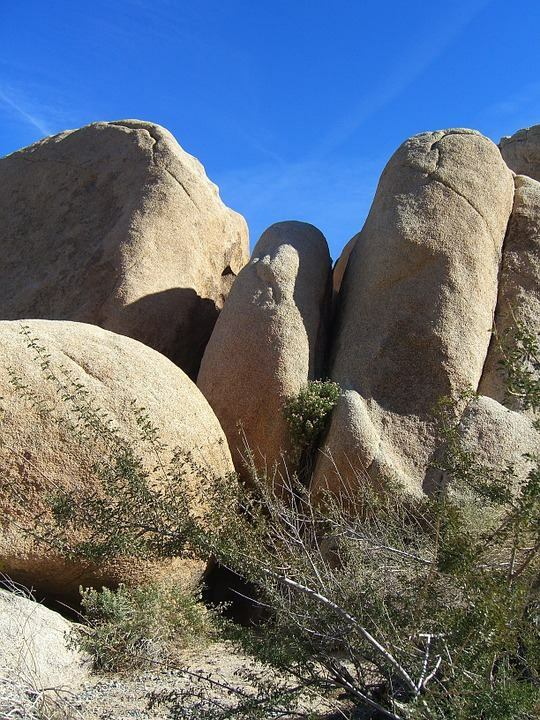 Novice friendly routes – you don’t need to be an expert climber to find something to do at the Joshua Tree park. There are routes that suit beginners. Joshua Tree Uprising guides – if you don’t have an experienced climber friend tagging along, you can hire one of Joshua Tree Uprising’s friendly, veteran climbing guides. This may be difficult to pull off if you are in a group consisting only of novices but if you have an experienced rock climber in the group, make her pick a place that’s suitable for the rest of the group. This will ensure that people will not get overwhelmed or get into an accident simply for biting off more than she can chew. Ideally, you should get a guide from one of the many climbing companies operating in the area, such as Joshua Tree Uprising. They serve as trainers and guides that will teach you proper rock climbing techniques, and they know the area like the back of their hand so they will be able to pick climbing spots suitable for your skill level. Rock climbing might be the Joshua Tree Park’s main offering, but don’t let that distract you from the fact that the park is one of the most naturally beautiful places in the world. Don’t forget to bring your camera along so that you can keep memories of the place. It also helps if you take breaks from time to time and devote the breaks to appreciating the surroundings. One thing most people don’t realize about the guides their Joshua tree climbing guide is that they never overbook. Despite the extra revenue being tempting, they choose to give clients that have booked their services for that day their full attention. So don’t treat them like strangers. They are really your friends and in a lot of cases, will hold your life in their hands. Most tours will let you choose between a half-day or a full day tour. If you are still a novice, you should pace yourself and just book a half-day tour, which is around 5 to 6 hours. Once you get the hang of rock climbing, you can opt for the full-day tours, which does not have any time limit – your guide will climb with you until you are finished. Last but not the least, make a goal to come back multiple times. The Joshua Tree Park has a lot of things to offer and the experience gets better the more you do it, so don’t turn it into a one-and-done deal. Make an effort and make plans to come back after your first Joshua Tree Climbing adventure.